Yes, Key West is home to bars that open at the crack of dawn, like Don’s Place, and awesome breakfast spots serving killer, freshly squeezed screwdrivers, like Pepe’s. It is definitely always Five O’clock Somewhere in Key West. Day drinking is a favorite pastime here and with so many scenic, open-air bars, like Schooner Wharf and Conch Republic Seafood Company, and live music joints like Willy T’s and Irish Kevin’s, you’ll soon understand why. Did we also mention that Key West is an island? That means you’ve got a ton of water sports to choose from in our warm, year round sunshine. The third largest barrier reef in the world is located just seven short miles offshore and you can discover it with Fury Water Adventures. Go snorkeling or discover the reef through the “windows to the sea” of their glass bottom boat. 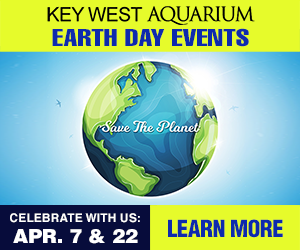 The reef is home to a thriving ecosystem of colorful tropical fish and coral, as well as sea turtles, stingrays and even sharks. Major snowstorms in the northeast can affect cities as far south as Atlanta. In Key West, our temperatures have never dropped below freezing in the history of recorded temperatures. 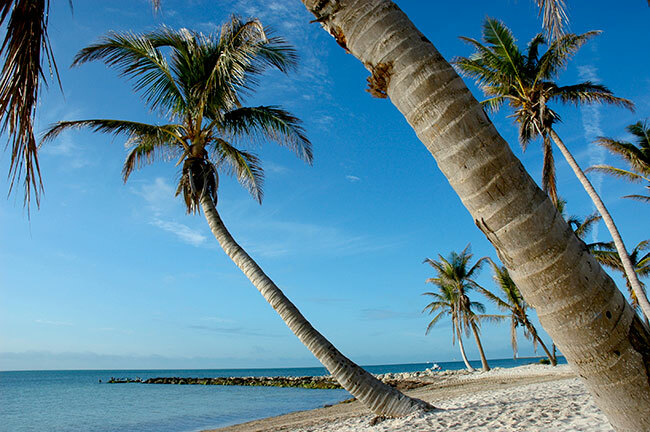 If that’s not reason enough to plan a winter vacation to Key West, we’re not sure what is. As the southernmost city in the continental United States, we’re closer to the Equator than any other city, meaning there’s a pretty solid chance that we’re the warmest destination in the country during winter months. There’s something truly romantic about Key West’s position at the end of the road. It’s the southernmost point you can reach by car in the United States and that lends it an anything goes, frontier town kind of feel. This vibe has collected a melting pot of drifters, dreamers, writers and artists over the years, making the island a very unique place to explore. Of course, it’s not without its “southernmost point” attractions, from the famous “90 Miles to Cuba” buoy at the end of Whitehead Street to the decadent Southernmost House, a prime example of Key West’s whimsical Victorian architecture. There is some seriously delicious food that you’re only going to find in Key West. Fresh seafood is definitely one of these things—think, spiny lobster, hogfish, grouper, mahi-mahi, stone crab, snapper. But there are a couple of dishes that might as well be the official foods of Key West. We’re talking about conch fritters and key lime pie. From the stand at Mallory Square to the Conch Republic Seafood Company (and pretty much every other restaurant in Key West), you’re going to find conch fritters on the menu and you absolutely should order them. These deep-fried, delectable morsels of conch, fresh spices and breading are crispy on the outside and moist on the inside paired with all manner of dipping sauces. Same goes for key lime pie—don’t visit the island without sampling at least one slice. Whether it’s frozen on a stick and dipped in dark chocolate at Kermit’s or piled with mile high meringue at Blue Heaven, this sweet and tangy dessert is a requirement and a major reason to visit Key West. 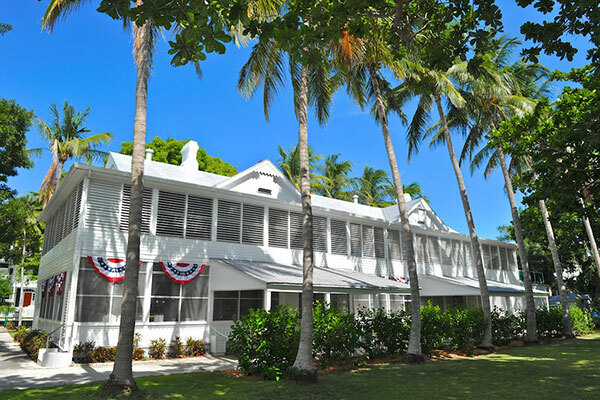 From historic figures like President Harry Truman to Pulitzer Prize winning author Ernest Hemingway, the island is littered with historical intrigue. From its earliest days as a shipwrecking capital to Jimmy Buffet’s time on the island in the renegade 1970s, there’s plenty to learn about Key West’s history. You can get a good overview of all of this and more with a tour of the island aboard the Conch Tour Train. Afterwards, you can seek out the attractions that fascinate you most. Take a few deep breaths and let your stresses melt away. Forget about fighting traffic. There’s no need to drive in Key West. Instead, enjoy Old Town on foot or get lost on the quiet, palm tree laden residential streets just off Duval Street on a bicycle. There’s no rushing around, nowhere you have to be and nothing to worry about when you’re in Key West. Key West is home to some of the world’s most beautiful sunsets. They’re celebrated every night, not only in Mallory Square, but at many venues across the island. Grab a perch at The Top of La Concha bar, the tallest building in Key West at six stories high for an expansive, bird’s eye view of the sunset and the boats drifting through Key West Harbor. There’s also plenty of opportunity to hop aboard one of those boats during their sunset sails, from Fury Water Adventure’s live music Commotion on the Ocean to Schooner Hindu’s sophisticated sail with artisanal wine and cheese. 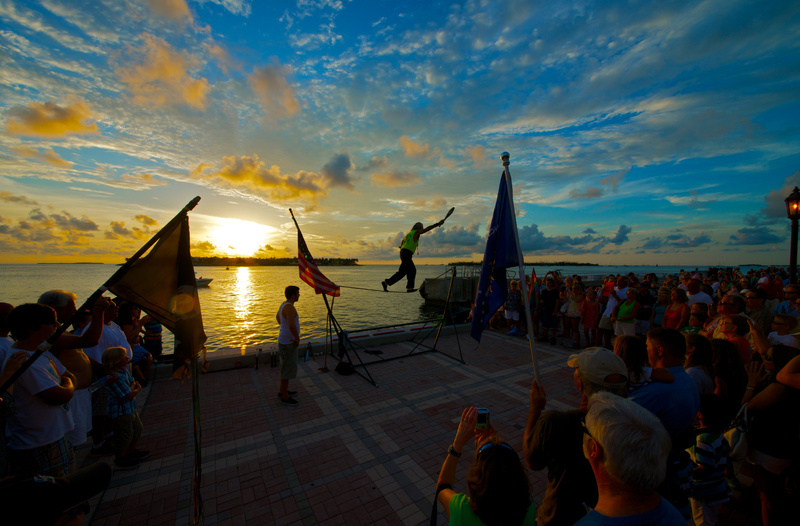 Of course, you have to hit Mallory Square at least one night for its cacophony of street performers and artisans set against one of Mother Nature’s most beautiful backdrops.